Three Castle Head is a working sheep farm run by Lukas and Joanne Ungerer. 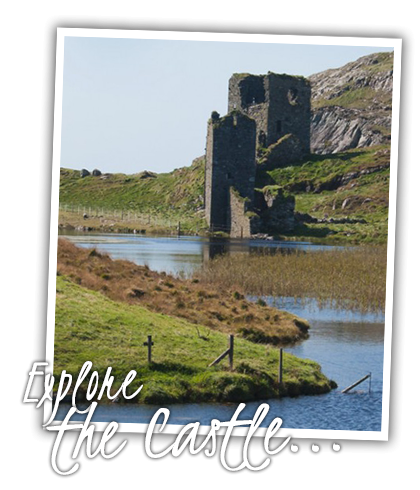 The farm includes 250 acres of land on which sits the 12th Century Dunlough Castle, one of the earliest promontory forts in Ireland. The Castle itself is perched on the edge of awe-inspiring cliffs with a large freshwater lake to the one side. 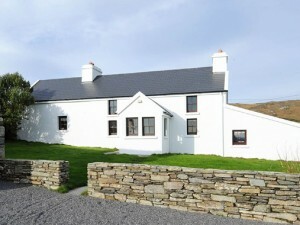 It has been the Ungerer family’s home since the mid nineteen seventies when they moved to Ireland and more recently has been expanded to include a café and holiday rental conversions. 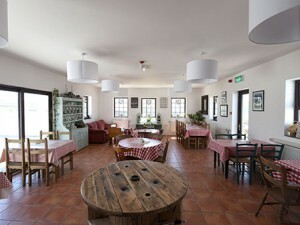 With stunning views of the rugged Irish coastline and the Atlantic Ocean Three Castle Head is the perfect venue for weddings and various private events and is also available as a unique location for photo shoots and filming.